Relax on your private rooftop terrace as you soak in the hot tub while wine chills in the beverage cooler and steaks grill in the outdoor kitchen. Entertain friends in the gathering pavilion on the private boat dock. Stroll up the street to Whole Foods and Nordstrom Rack for provisions, bike to the bountiful boutiques of Park Avenue, or take a quick boat ride from your private slip across scenic Lake Killarney to stop at Hillstone Restaurant for lakefront drinks and dinner.The wonders of waterfront living. The art of Modern style. The coveted and convenient Winter Park address. 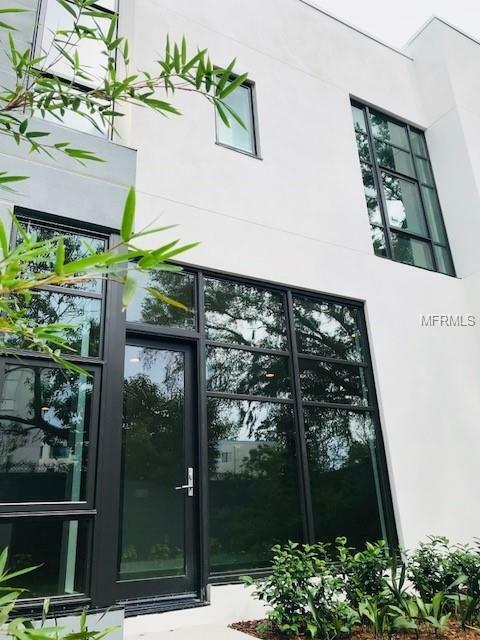 The Mondrian Winter Park exemplifies the best in location, innovation and inspiration.The Mondrian Winter Park is a waterfront enclave of 30 contemporary urban town-homes nestled on the shores of scenic Lake Killarney just north of downtown Orlando. Residents will enjoy use of the communitys two boat docks featuring 10 private boat slips, a gathering pavilion and boardwalk. And The Mondrian Winter Park provides convenient access just minutes away from the myriad shopping, restaurants and recreation Winter Park and Orlando have to offer. Model Open Daily from 10-5pm. Appointment highly suggested.